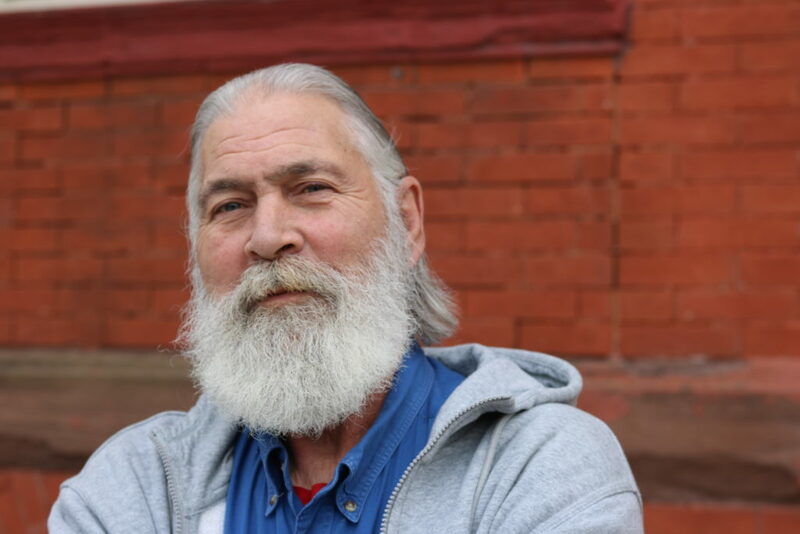 Robert is 67 years old and just recently celebrated three years of hope being clean and sober after fifty-two years of addiction. Better known as Blue by everyone at HUM, he explains that someone once joked about him being one of the Blues Brothers and while he didn’t see the resemblance, he loves the blues so he let the nickname stick. Blue was arrested for possession of heroin. In 1968, a month after graduating high school, Blue was arrested for possession of heroin. Blue said, “I went on methadone after I got busted. My mother and father didn’t have a clue what to do.” They took him to a psychiatrist who prescribed the methadone. During this time, he met his wife and fell in love. They were both on methadone for ten years, and then he detoxed off of it. His wife was taken off of it abruptly and overdosed a few days later. Blue gave her CPR and brought her back to life. After a few days she overdosed again, and this time, he could not bring her back. Blue was devastated and did his best to bring up his daughters without their mother. Blue is well known at HUM. He explains, “I am a firm believer that the small things in life make the difference. The big [things] are going to happen to everyone. The little ones are gifts. When someone talks to you and they actually care, it’s something you remember. It can make a huge difference in the rest of your day. It might make a difference in the rest of your life. Care might be the difference between life and death.” This New Year, Blue will continue to do what he can to offer hope to the hurting.